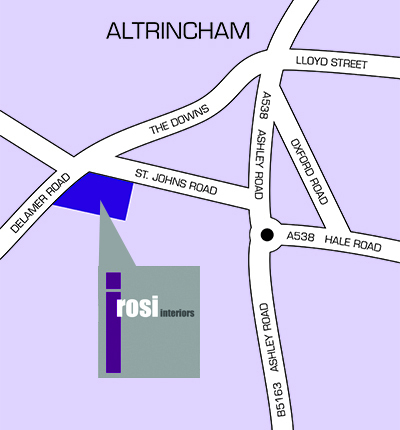 ﻿Rosi Interiors is easy to find on Delamer Road in Altrincham. We have ample car parking with our own private car park. We're are open Monday - Friday 9.30am – 5.00pm and Saturdays by appointment.